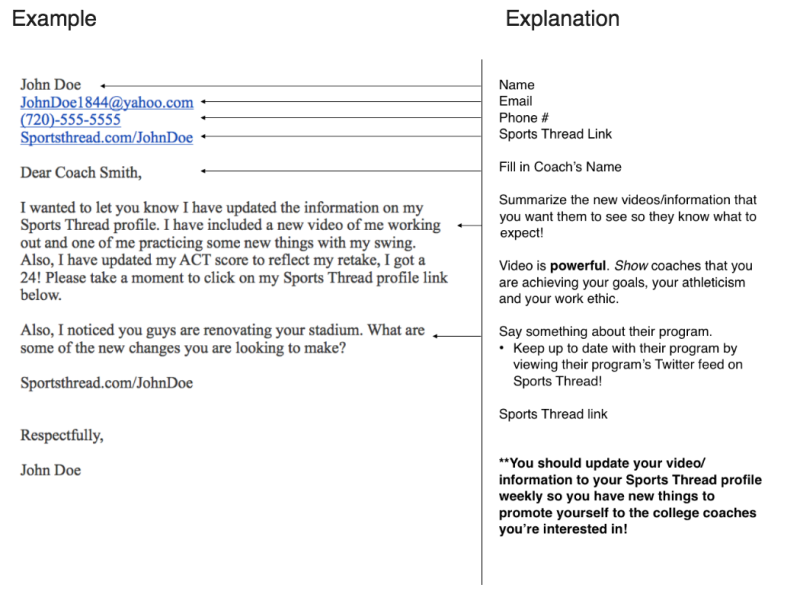 You will find an example email and explanation of what each part of the letter is accomplishing, then the email template below. Do not copy everything word for word, coaches appreciate originality, it will help you stand out! 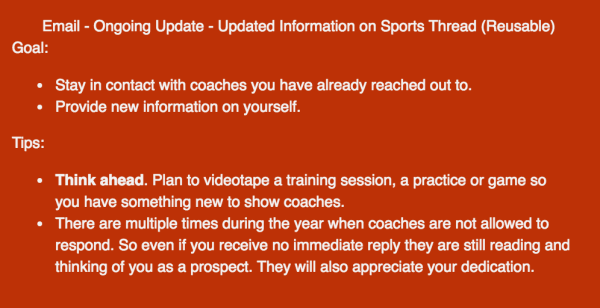 To use this template, copy and paste it into the email to a coach, then replace all ( underlined) items with your information and fill in the blanks as well! Do not copy everything word for word, coaches appreciate originality, it will help you stand out! I wanted to let you know I have updated the information on my Sports Thread profile. I have included a new video of me ( what you are doing in the video goes here). Also, I have updated my ( Add any other information you updated here, if you only added video, delete this section). Also, ( Add a note about something going on in their program or school here).